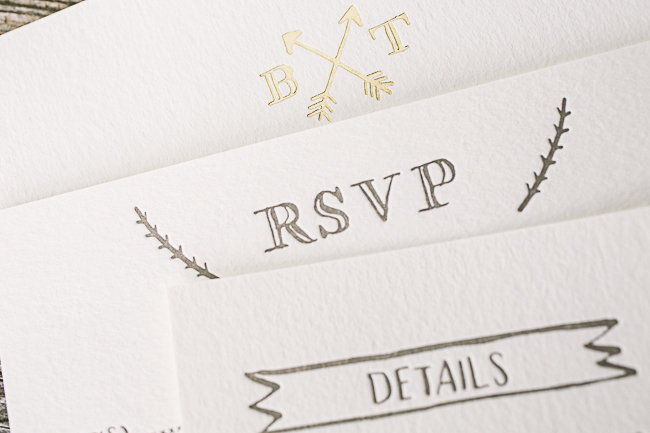 letterpress + foil - Smock. 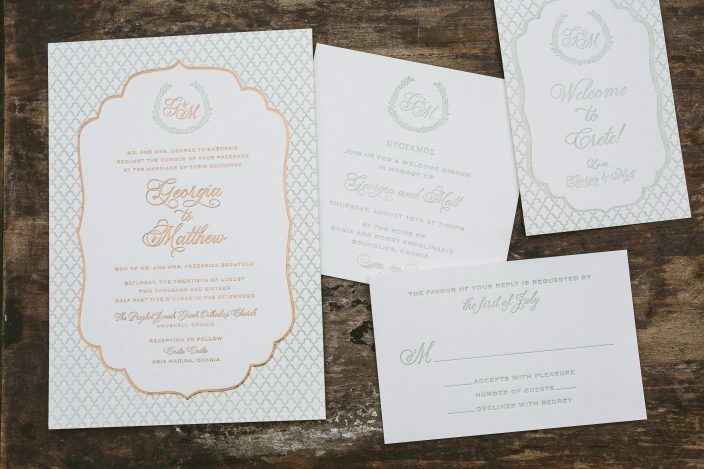 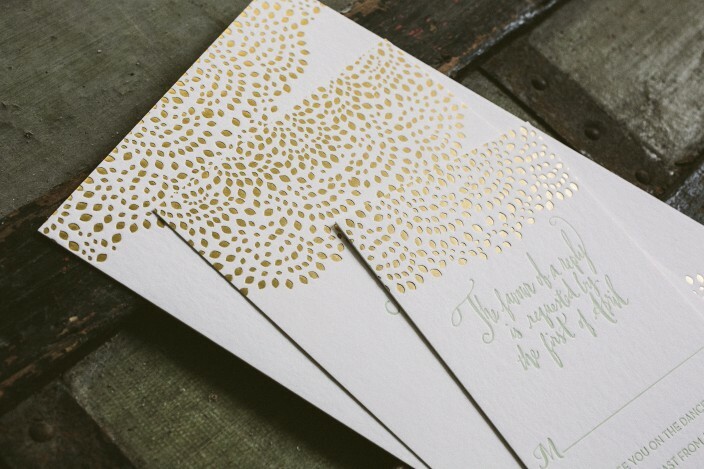 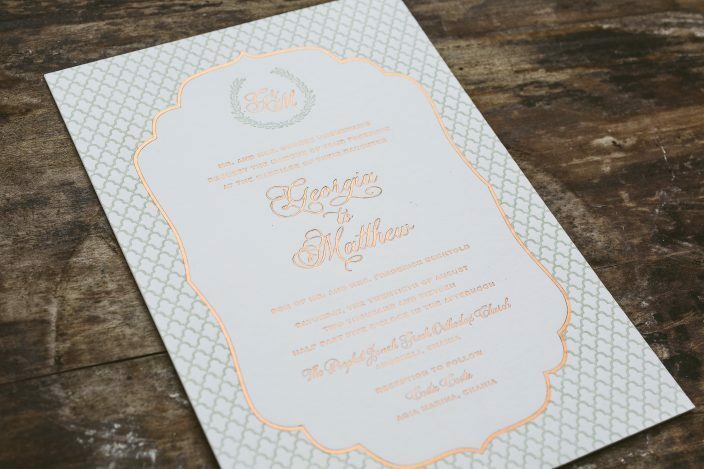 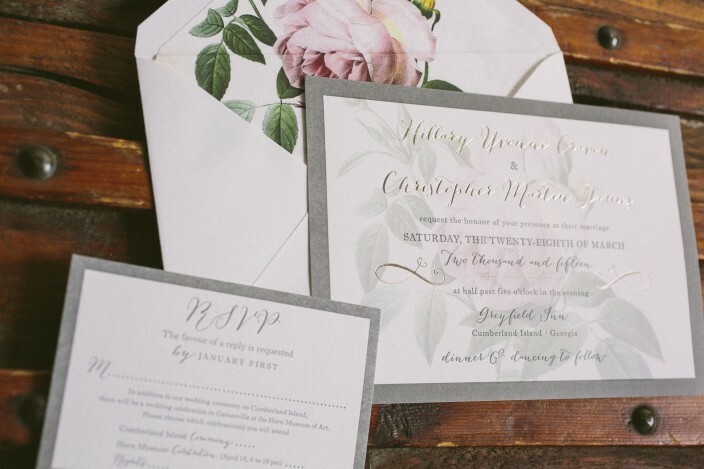 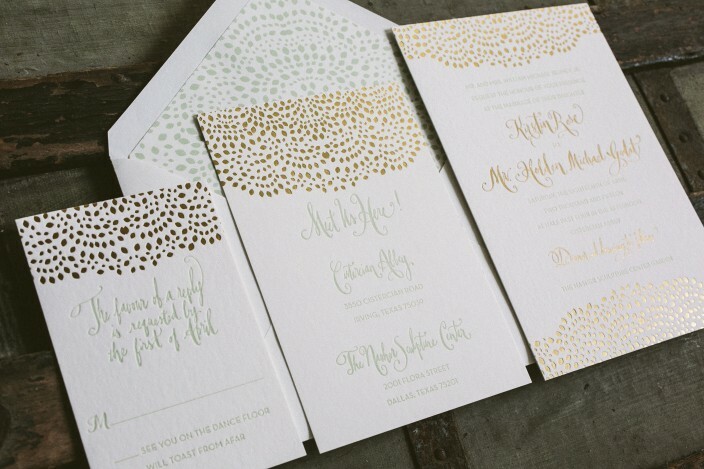 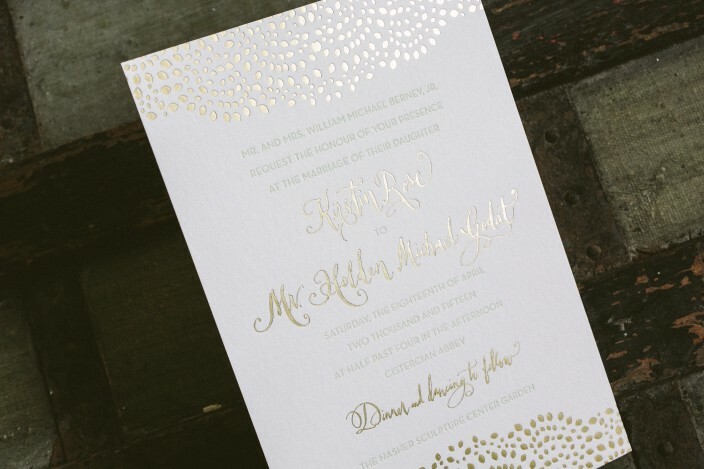 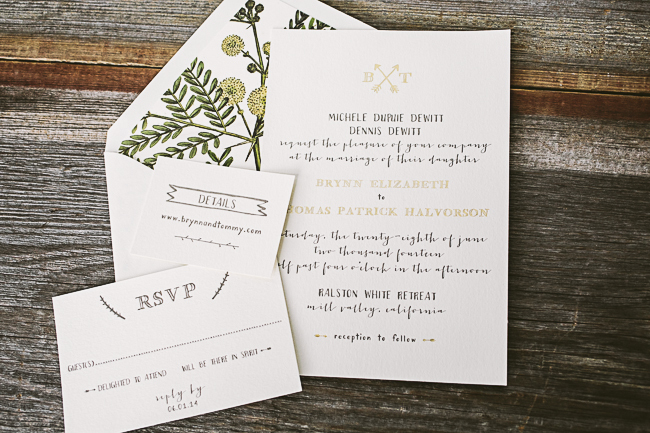 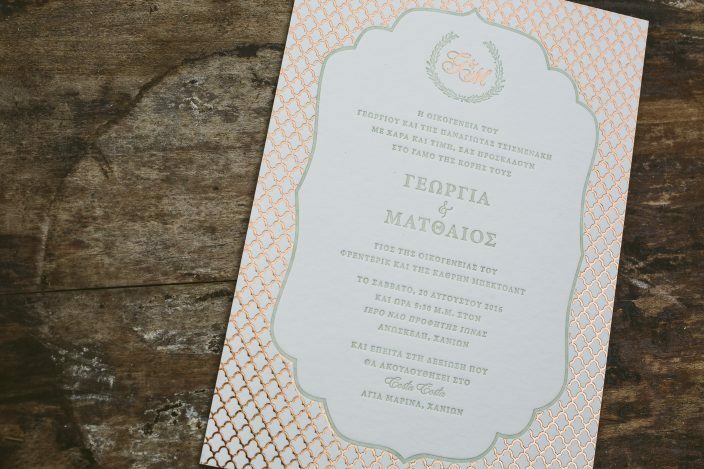 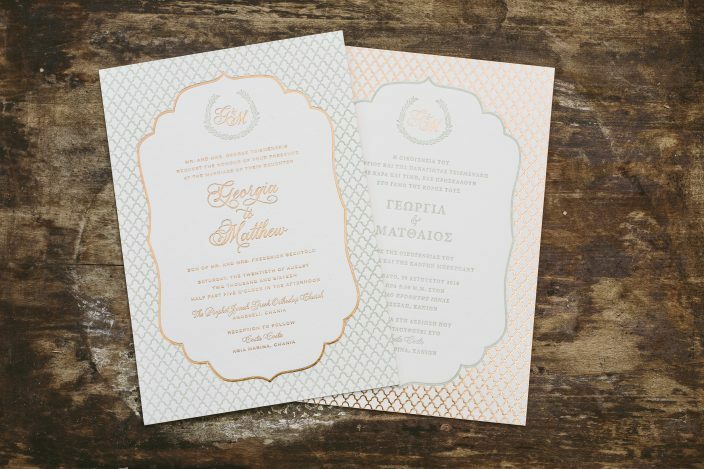 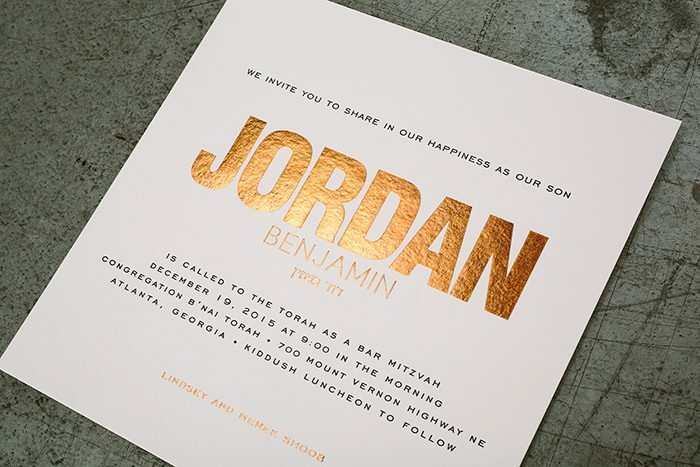 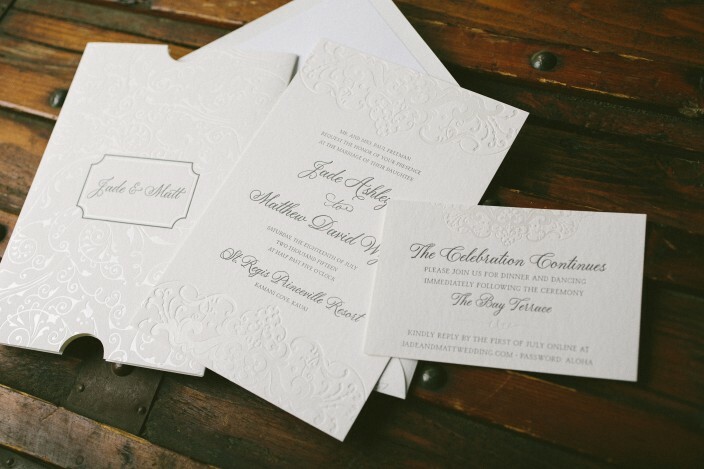 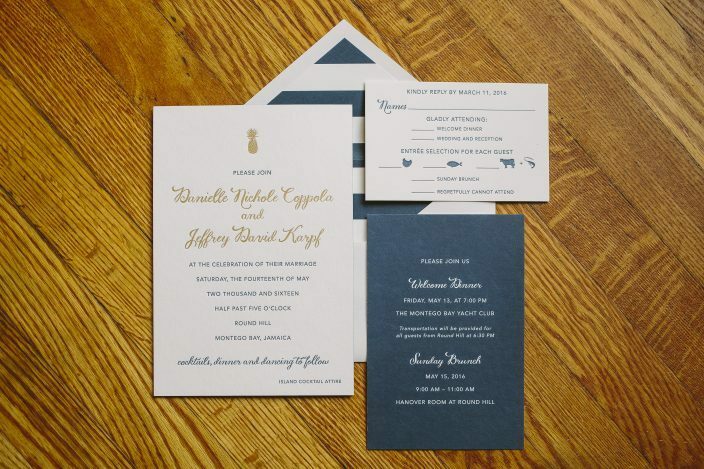 Custom calligraphy accents made this mint and gold foil wedding invitation suite from Ellis Hill shine. 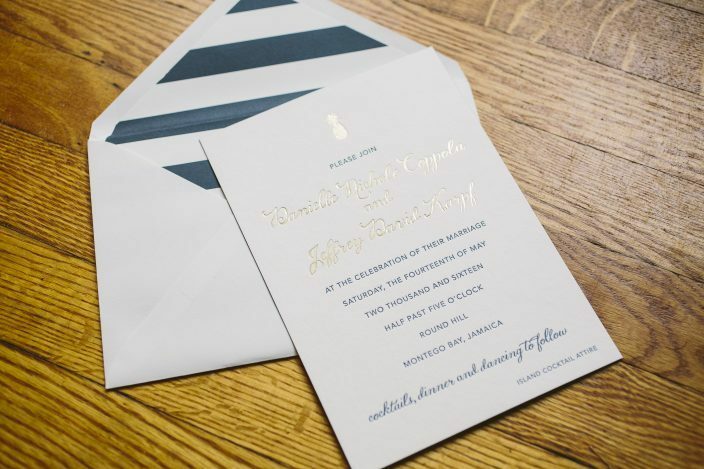 Kirstin and Holden customized our Rainier design for their stylish invitation set, which included a reply card and information card along with lined invitation envelopes. 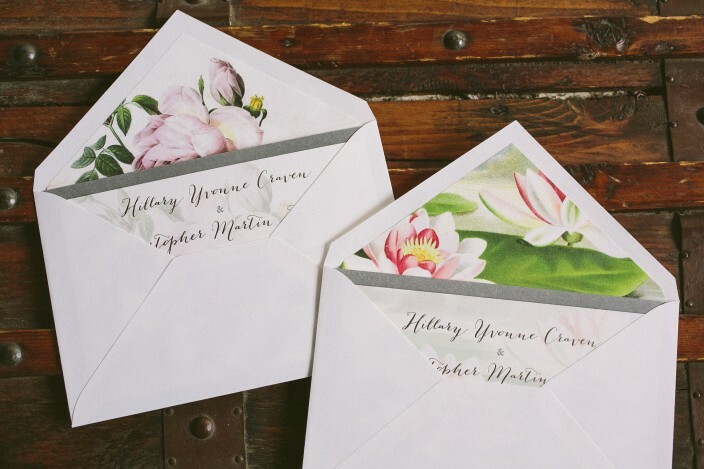 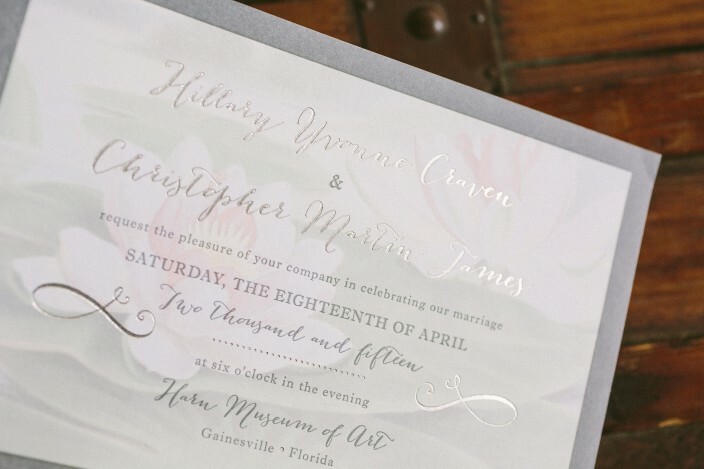 Hillary and Christopher customized our Ashbourne wedding invitation twice for their spring wedding festivities. 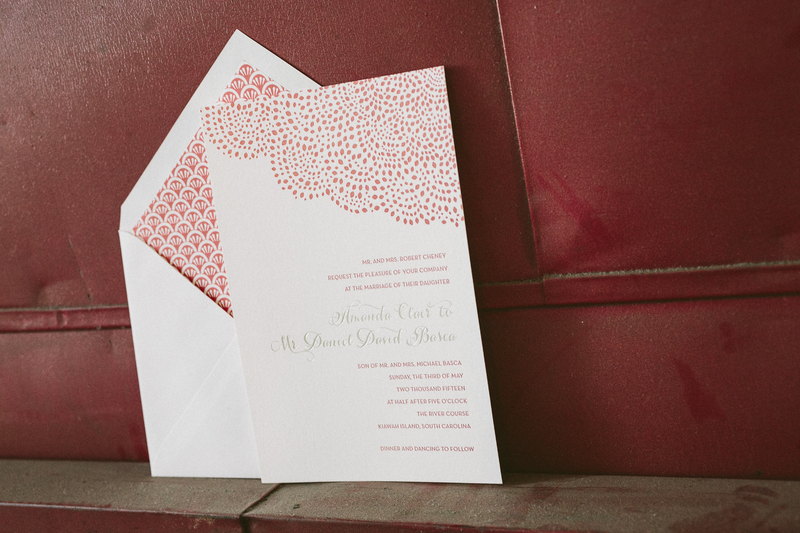 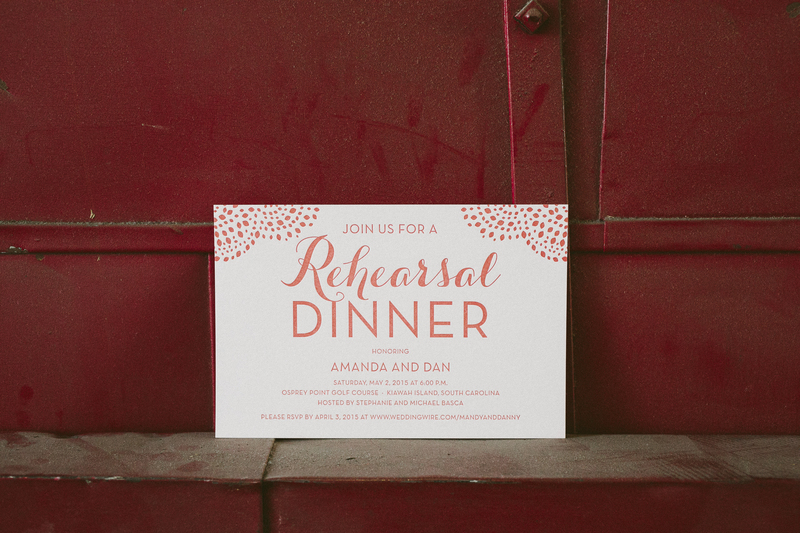 The first invitation, printed for the wedding ceremony on Cumberland Island in Georgia, featured a subtle pink rose background and tawny matte foil stamping, with a coordinating vintage rose patterned envelope liner. 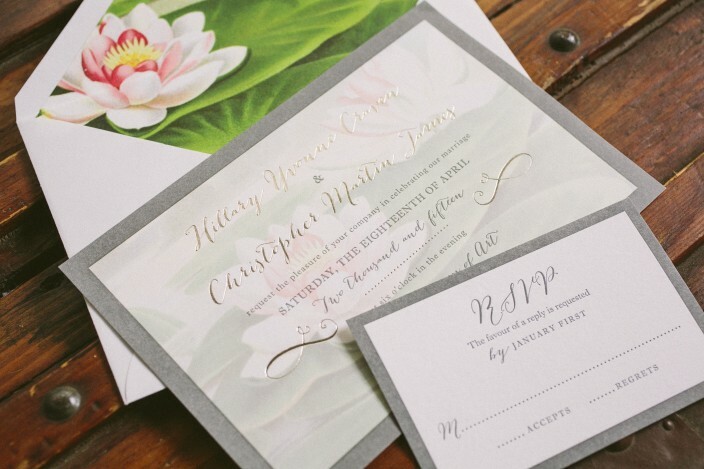 The second invitation, printed for the reception in Florida, showcased custom water lily artwork on the invitation background as well as the liners. 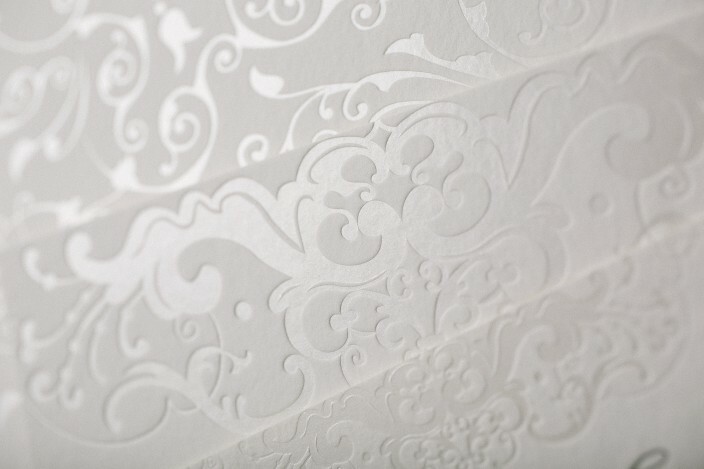 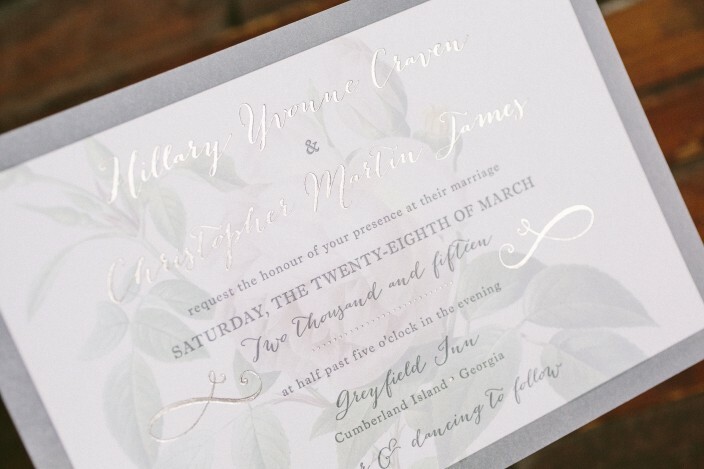 The couple chose to keep the rest of the design elements the same, and the end result is stunning. 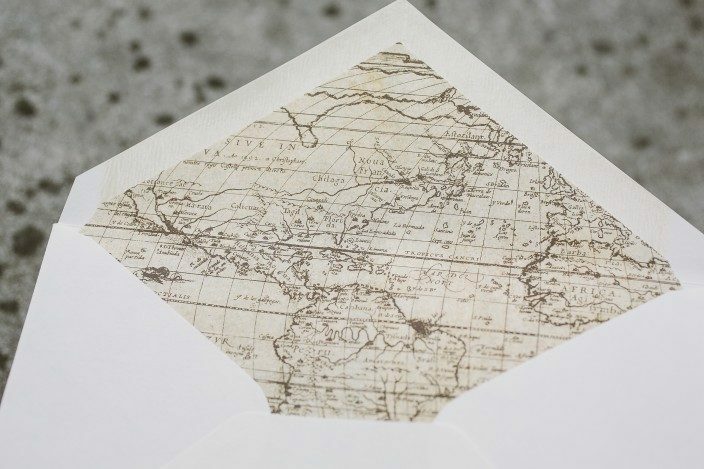 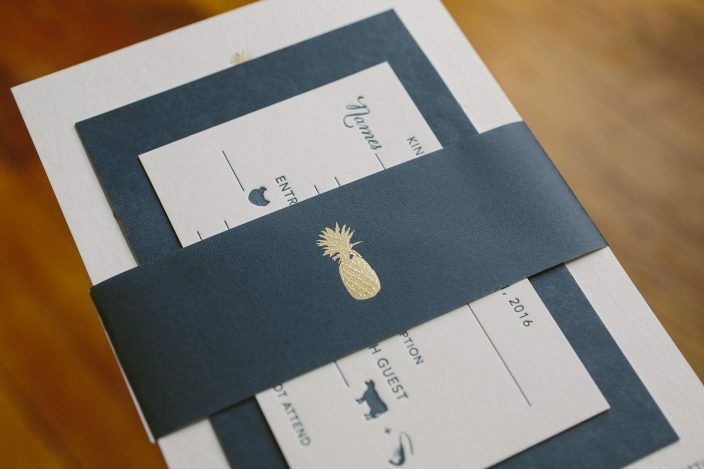 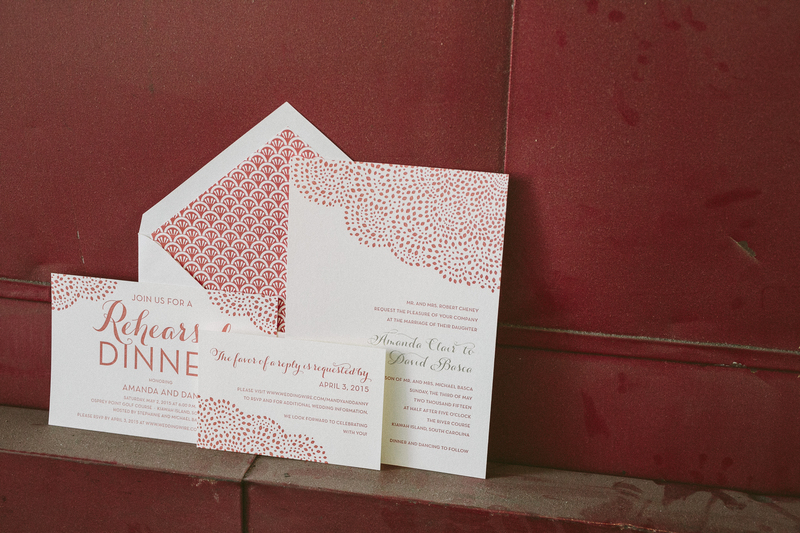 Brynn and Thomas selected our Mimosa vintage print pattern for the envelope liners on their rustic wedding invitations. 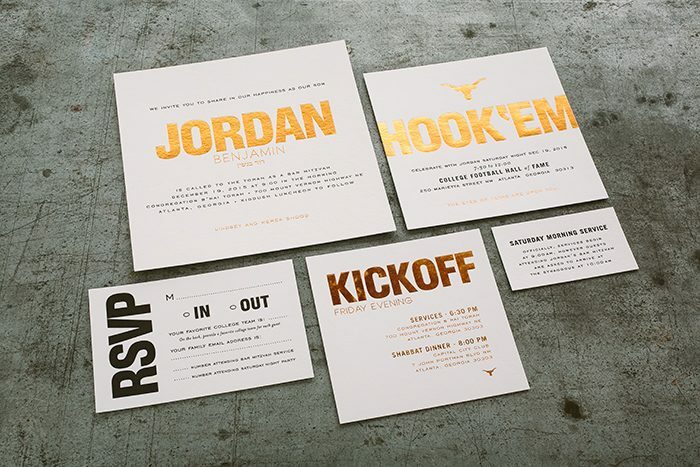 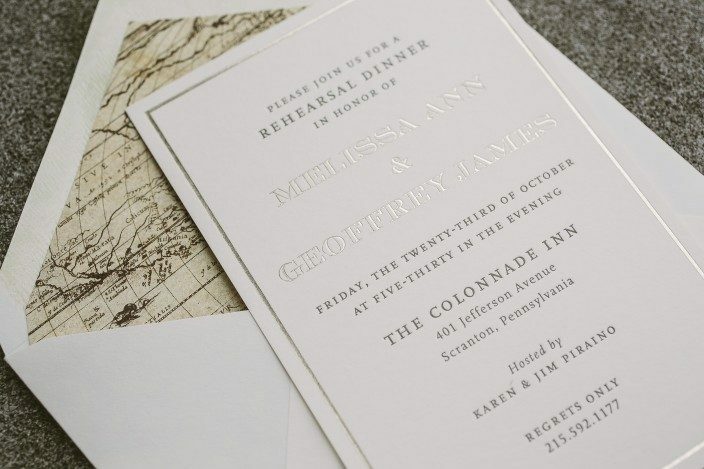 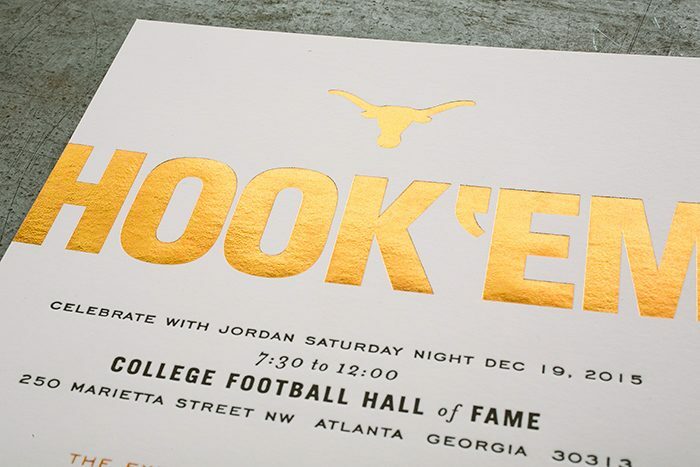 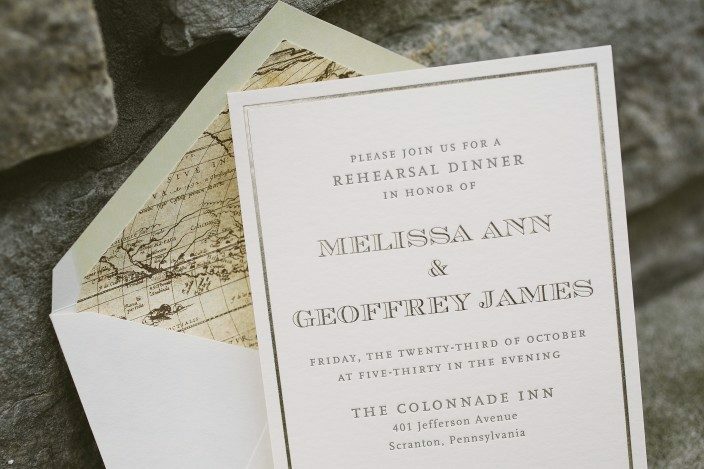 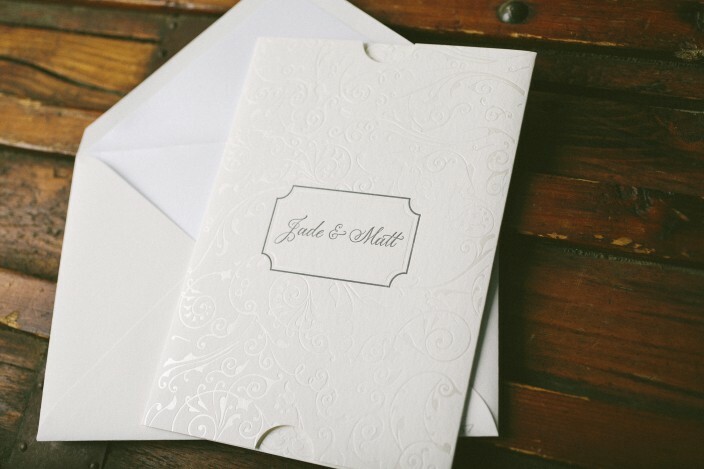 Letterpress printed in taupe ink, the invitations feature our Cimarron design with gold matte foil stamped accents and included reply cards and a petite website card. 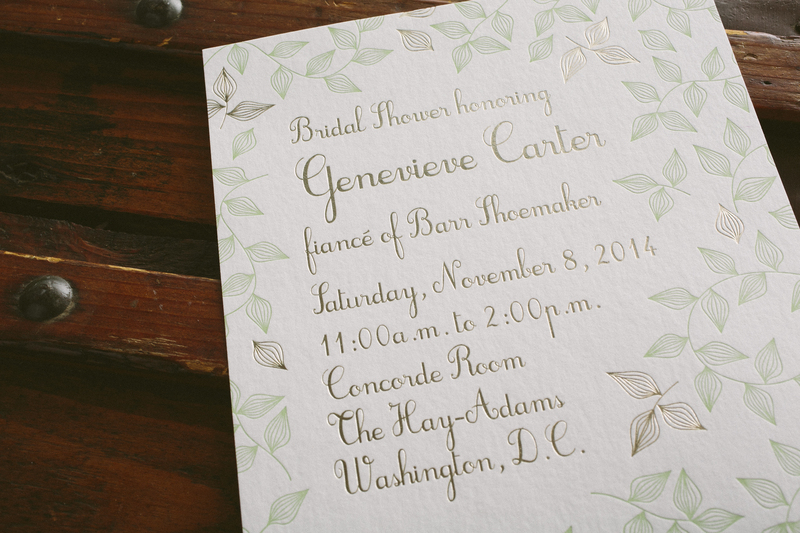 We worked with our friends at The Dandelion Patch to create these elegant bridal shower invitations for Genevieve’s celebration at The Hay-Adams. 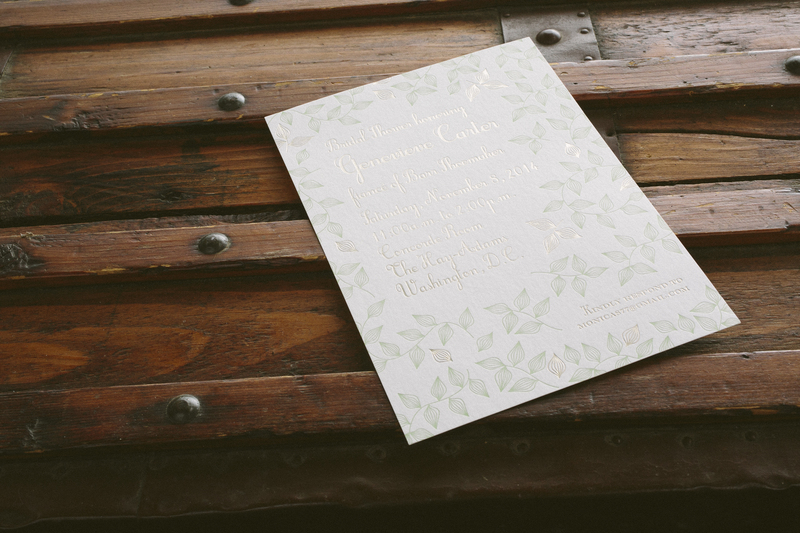 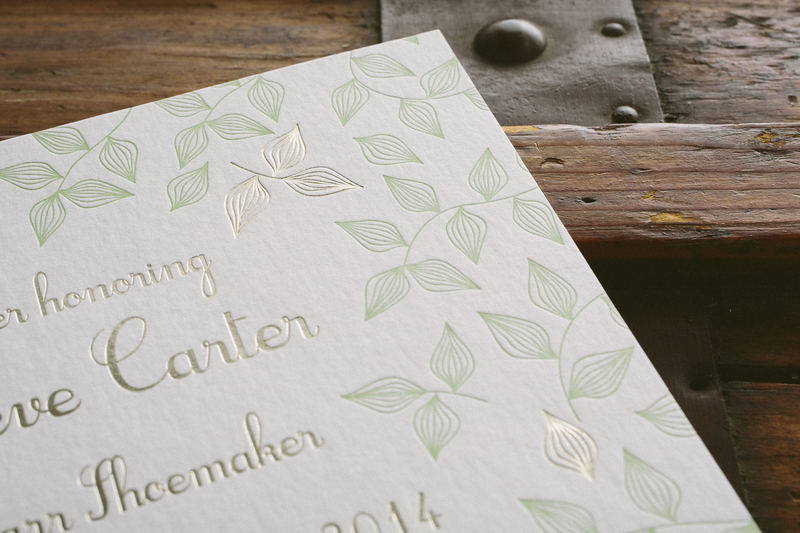 Inspired by our 2013 National Stationery Show mailers, the invitations combined a fresh color pairing of tawny matte foil with mint letterpress ink, with organic leaves blossoming throughout the piece.